Kids and sports are a wonderful combination. Team sports benefit our children in many ways ranging from keeping them fit, instilling a sense of belonging, encouraging teamwork, and helping to improve academic performance. But as our kids get older, the competitive edge gets sharper, and our kids have to train harder and longer in order to stand out. With this increased pressure comes a drastic increase in the risk of injury. So what steps can we take to keep our kids safe? Kids who specialize in one sport are at a significantly higher risk of injury than kids who do not specialize. If you have a child who specializes, be sure to offer an off season activity or sport that does not demand the same movement patterns as their main sport. Be certain that you child gets one day per week of rest so that their body can repair and rebuild. 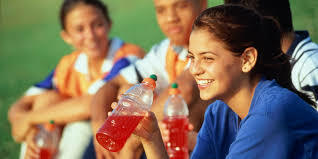 Keep your kids hydrated and fueled. Tired bodies are injury prone bodies. Have your kids incorporate strength training and core work primarily as a means to prevent injury. Teach kids proper movement patterns, and proper form while exercising. This is the time for our kids to build their foundations of movement. Creating bad habits now will result in imbalances that last a lifetime. SLOW AND STEADY WINS THE RACE. With the mounting pressure to succeed, kids are pushed to train hard and long with a short term goal of becoming faster and stronger. This type of training often results in long term injuries that could end sports careers during, or even before college age. We need to put our kid’s long term health as a priority, and build their bodies slowly and safely. There are a lot of different styles, methods, and brands of exercise out there, and they all promise to get you lean and fit in no time at all. Want a workout that will help you to lose weight, but not sure which method is right for you? Read on……. Let’s start by clarifying that any type of exercise is good (when done properly), and will yield better weight loss results than doing nothing at all. That being said, if weight loss is your goal, then high intensity should be your focus. Solid research shows that shorter bursts of high intensity exercise produce more significant weight loss results than logging long hours of moderate exercise such as running. Hands down, no contest. If you are wondering how to incorporate some higher intensity exercises into your cardio filled life, here are a few ideas to get you started. You won’t need anything besides your own body weight, some water, and some determination! Start standing, legs hip width apart, core connected, chest lifted, and shoulders retracted. As you inhale, sink down into a squat, keeping weight in your heels, chest lifted, and navel drawn in. Exhale as you power up out of your squat, working through the hamstrings and gluteus as you propel into a jump. Land softly with your toes facing forward, knees soft, and core connected. Repeat. Start in split lunge position, right foot in front. Core is connected, shoulders relaxed, hands behind head with fingers interlaced. Inhale down into your lunge. 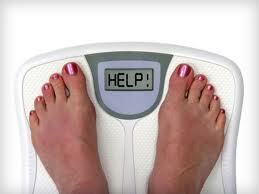 Be careful to keep your weight centered, and in the toe of your left (back) foot, and heel of your right (front) foot. Exhale as you power up out of your lunge, switch legs midair, and land back in split lunge position, this time with left foot forward. Keep your landings controlled and soft, and always keep your core connected. Repeat. Start standing, legs hip width apart, long through the back, core is connected. Hinge forward and place your hands on the ground. Working through your center, hop both feet back so that you are in plank position. Inhale as you lower yourself down into a push up. Exhale as you push back up into plank position. Hop both feet back in towards your hands, and then power all the way up into a jump. Repeat. Perform three sets of ten of each exercise, three times per week for two weeks. As your body adapts, you will be able to challenge yourself to do more. Keep pushing yourself…. you’ll love the results! Anybody who knows me knows that I am not a fan of fads, pills, supplements or quick fixes. So for all of you who are tempted to buy that promising new weight loss supplement, or book your liposuction and body contouring procedures, consider these options, and the benefits that they provide! High intensity interval training not only burns a ton of calories, it boosts metabolism and releases hormones that facilitate fat loss. Strength training encourages muscle growth, helps to boost metabolism, and improves skin tone. Core based, mind/body workouts will provide increased stamina, endurance, strength, as well as help to correct any postural imbalances. Mind/body work also reduces blood pressure, and has been scientifically proven effective in treating ailments ranging from cardiovascular disease, to lung cancer, to depression and anxiety. In fact, meditation is proving to be so effective that large corporations are now integrating meditation into their employee training’s! Any type of exercise releases endorphin’s, increases energy, and burns calories!! Rest; exercise stresses the body, and causes inflammation. Be sure to add rest into your balanced fitness program so that your body can recover and rebuild. Sleep; Sleep boosts our immune system, raises levels of muscle repair agents, and reduces inflammatory hormones. It also helps us to regulate our hunger and cravings. Studies actually show that women who get 7-9 hours of sleep have less of a hunger response than women who get less than 7 hours. Post workout refueling; as I mentioned earlier, exercise causes inflammation. 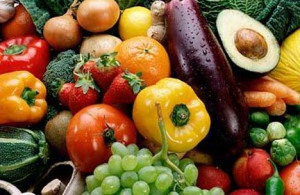 Adding antioxidant food choices (fruit or vegetables) to your carbohydrate and protein rich post-workout snack helps to prevent inflammation and rebuild muscle. So make some time to incorporate a balanced fitness and wellness program into your life. You will absolutely lose weight, tone and tighten your body, have increased energy and stamina, brighter skin, healthy hair, lower blood pressure, and improved focus. There is no pill, supplement, surgery or procedure that could take the place of a good fitness program, and a healthy lifestyle! We all have them. They are the most noble of wars…..we make that decision, we make that commitment….”This time”, we say, “This time I am going to win! This time I am going to follow through and make all of the right decisions!” And we do. For a few days. Maybe a week. And then we get tired. The self-talk starts……and it all falls apart. Why? What happens to all of that will power? What happens to that all important goal that we want to reach in THE WORST WAY? Willpower, as we call it, is the logic decision making that we use to “combat” the emotional impulses that we REALLY want to act on. Some of us are more logical than others, but emotion is ALWAYS more powerful in the decision making process than logic. Simple as that. Your logical side can only hold out so long against your emotional side. Does this mean that you are doomed to never reach those goals? Lock up your running shoes and grab the Oreo’s? No! Of course not. It just means that there are a few simple steps that you should take to back you up when that willpower of yours backs out on you. The first step is to minimize temptation. If your family insists on keeping the chips and cookies in the house, that is ok. Find them a new home. Segregate the “junk” food, and place it somewhere out of reach. When you have the impulse to grab a junk food snack and your willpower is nowhere to be found, you will have to take extra steps to consciously make a less-than stellar choice. This is often times enough to wake up the willpower, and re think your choice. Keep healthy foods (that you actually LIKE) in easy to reach, very visible spots. Keep a wide variety to satisfy different types of cravings. Keep a water bottle and bowl of apples on your desk. Pack a wonderfully fresh and tasty lunch to bring with you. Make it easy to make better decisions. Fast food and snack food companies thrive on our emotional impulses. “You deserve to treat yourself!” They tell us. Well you DO deserve to treat yourself. Just not with junk food. Treat yourself to that super cute hoodie (or manly new running shoes!). Reserve them ONLY for your workouts. Treat yourself to a fabulous meal that fits into your clean eating lifestyle. Reserve your favorite new tunes for your workouts, or your favorite new TV series for your treadmill sessions. Bottom line is this: Your willpower needs some help. Eventually, your emotional side will overpower you (temporarily of course). You can take these simple steps to change your environment a little bit, and prepare for, (and power through) these willpower relapses!! The snow is melting, the sun is shining longer and brighter, and the crocuses are starting to bloom! Springtime is my favorite time of year. It is fresh, new and bright. It is a forgiving grace period that allows us to shake off the winter blues (or bulges), before summer hits us with (not so forgiving) tank top and shorts weather. More importantly, springtime brings you back to what is important. It reminds you to take the time to appreciate nature, the sunshine, the birds singing, and the flowers that are starting to peek out at us. It gives us hope and motivation for the year to come. Springtime is a perfect time to give yourself a fresh, wholesome jumpstart to the season, and the new year! I like to do a springtime “detox” each year. I use the term “Detox” loosely. To most people, detox involves special supplements, colonics, and cleanses touting fabulous results by cleansing toxins out of your body. This is not the “Detox” I am talking about. In fact, research tells us that there is no reason to believe that harmful chemicals build up in our bodies. Our liver and kidneys are really pretty good at keeping this from happening. Even if toxins DID build up, there is absolutely no evidence to support that a detox diet would get rid of them. Most toxins that would build up in our bodies would be stored in fat, therefore losing body fat is the best way to “detox”! Slender people get rid of toxins more quickly than obese individuals. Fascinating what marketing companies can get us to believe, isn’t it? All of this being said, a lot of people get some pretty great results from said “cleanses” and ”detox’s”. These benefits really do happen, but they are not likely from any “detox” going on. The decreased bloating is from eating less food, clearer skin is due to better hydration, increased energy and decreased headaches are attributed to increased exercise and psychological factors. Could it really be that you can get all of these results not from purchasing expensive, and sometimes dangerous supplements….but just from more mindful nutrition, and an exercise program???? The answer is YES!!!!! 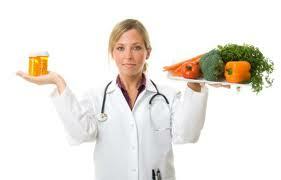 What are bodies really need is wholesome nutrition. There is no place in a healthy diet for processed, chemical laden foods. God made whole foods for a reason, and that is for us to eat and be healthy. Did you know that in order to benefit from all of the nutrients in a food, our bodies need the “food compounds” in that food to digest and absorb the nutrients? This means that if you take the nutrients out of the food and put it in a pill, or drink, or powder, it isn’t absorbed as well as if you just ate the berry, or apple, or orange. It sounds simple, and it is…..but the challenge for you, is to step away from your “processed” life for a week and see what happens when you simplify and focus of whole, fresh foods for seven days. This means only foods with ONE ingredient. ( Of course you can prepare a meal with several whole foods together). Experiment with fresh herbs and spices instead of sauces or mixes. In order to make this work, you have got to plan, and prepare. It could mean a change in your routine, finding more time to prepare meals and snacks, making sure you have wholesome foods packed and ready to go for your busy days at work, and evenings carting the kids around. But it is worth it. Worth the feeling you get, knowing that you are taking care of the only body you have, the way that it is meant to be taken care of. The feelings of renewed energy, and the feelings of a slimmer waistline;) You may never go back to your old way of eating! It’s just that simple!